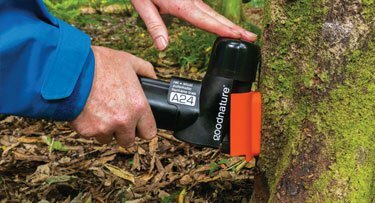 The combination of Goodnature™ A24 self-resetting trap technology, long-life lures, and you, the trapper, are the key to protection against introduced pests. This success guide gives you the tools to get great results. While our traps are truly awesome, you — the trapper — are still the most important part of the system. It’s important that you understand the following steps because they are all key to your trapping success. CO2 CANISTER is installed. See steps below. CONGRATULATIONS! You are now the owner of the world’s most advanced pest control technology. 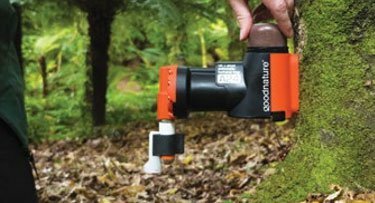 The self-resetting trapping system by Goodnature™ is designed so that your trap waits for the pest to activate it, instead of waiting for you to clear and lure it after each strike. We call this a CONSTANT CONTROL SYSTEM – one that knocks down the existing rat population and is always available to manage the inevitable reinvasion. Our lures are scientifically developed to be long life, ensuring optimal field performance for minimal maintenance effort. This Success Guide is developed so you get the best information to analyze your site and then get the best results. We hope you enjoy it and furthermore we appreciate any feedback you’d like to give us via our website — contact form. 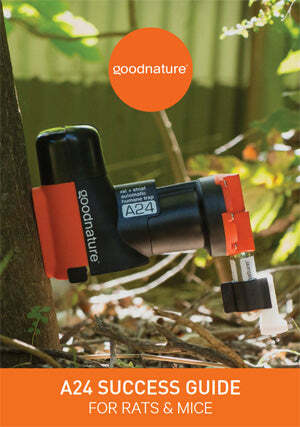 RODENT DETECTORS by Goodnature™ pinpoint the best place to put your A24 traps. Place them around a site, and where rodents have gnawed on them, they’ve shown you a place where they will interact with the lure and can therefore be trapped. See the installation instructions on the next page. Although you may see signs of rodents such as droppings, diggings and worn runs through foliage, or even sight them scuttling regularly in places; these are not necessarily locations where a rodent can be trapped. 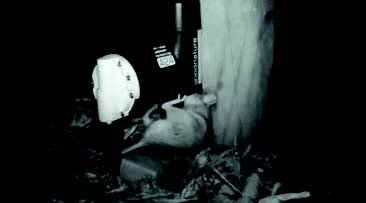 Rodents will only investigate food – and therefore a trap – in places where they feel safe. 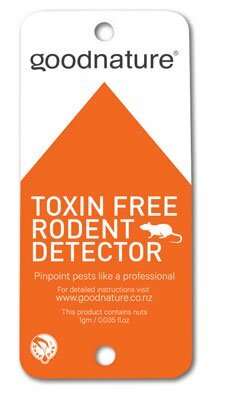 RODENT DETECTORS by Goodnature™ contain toxin-free LONG-LIFE LURE, which also helps to pre-feed your sites. Find a new location to shift an existing trap to. 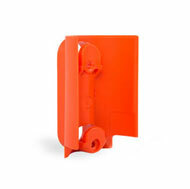 Fold a DETECTOR CARD in half with the orange triangular DETECTION SURFACE facing out. 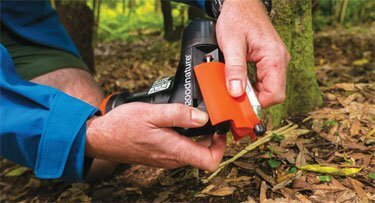 You should see the Goodnature™ Rodent Lure squeeze out below the orange triangular DETECTION SURFACE. The DETECTOR CARD is now primed and ready to set. Position the DETECTOR CARD so the bottom edge is fist height (roughly 8 cm) off the ground. The orange triangle DETECTION SURFACE should be facing out. Drive the supplied SCREW through both holes in the card and into the tree, post or wall behind it. The SCREW should be in firmly but take care not to force the card flat against the tree. 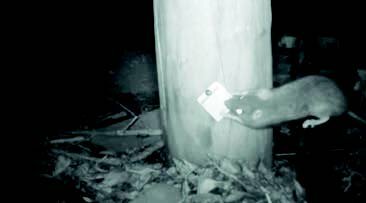 If necessary pull the bottom edge of the DETECTOR CARD a few millimetres away from the tree or post. This allows rodents to get their mouths around the card and leave bite marks on the DETECTION SURFACE. Leave your DETECTOR CARDS in place for three nights before analyzing. If you have rodents that are interacting with the DETECTOR CARD you will see teeth marks on the DETECTION SURFACE. See the opposite page (‘IDENTIFYING BITE MARKS’) to analyze who’s been interacting with your DETECTOR CARDS. 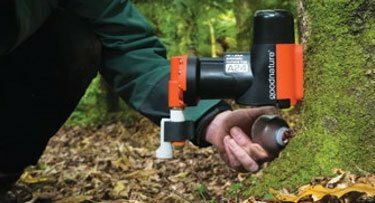 Set your Goodnature™ multi-kill traps at the exact same sites where rodent interaction has been positively detected. You’ve now found the best sites to set your traps. 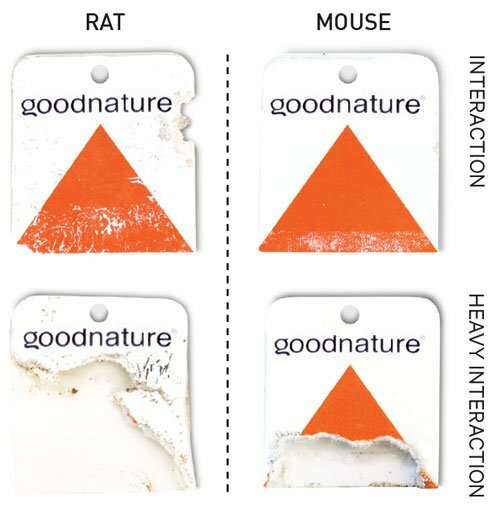 Goodnature™ RODENT DETECTOR CARDS identify pests by their unique bite marks. RATS and MICE are meticulous nibblers. They will often focus on one area, occasionally removing some plastic. A longer jaw length allows rats to mark further into the DETECTION SURFACE from the edge than mice. HEAVY INTERACTION — The key diff erence between rat and mouse bite marks is that mice have small teeth and jaws that leave very fine marks with a neat finish. Conversely, rats leave a rougher finish and you may see confetti-like litter beneath the card on the ground. Rats can also completely destroy the card with their gnawing. Separate the orange TRAP MOUNT from the TRAP BODY by using the forefinger and thumb to press the BLACK TABS inwards and easing the MOUNT along and off the BODY. Remove the two TRAP MOUNT SCREWS from the TRAP BODY and the CO2 CANISTER from the TRAP MOUNT. You will need a screwdriver. With the TRAP MOUNT base 12cm above the ground, screw the mount to the trunk or post so the screws are vertically aligned. Do not overtighten. Choose a straight tree with clear footing. Tilt the TRAP BODY backwards slightly and lower it onto the TOP LOCKING TAB of the TRAP MOUNT. As you press downwards the TRAP BODY will be guided in toward the MOUNT and lock in with a click. The TRAP BODY and TRAP MOUNT should then be firmly in place and not wobble on the tree. 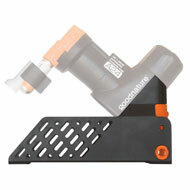 Take the CO2 CANISTER, remove the black cap and be careful to keep the screw thread clean and free of debris. Screw the canister in quickly until firm. As it screws in you may hear the trap quietly pressurize after the seal is broken. Hand tighten only. WARNING: Using non-Goodnature™ CO2 canisters voids your warranty. Wet the inside of the Counter’s RUBBER STRAP for lubrication. 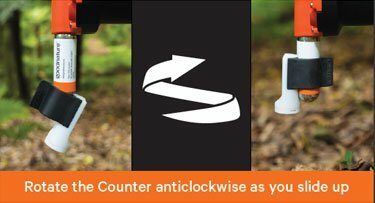 Rotate the Counter anticlockwise as you ease it up the canister. The canister’s curved base should nest in the Counter’s rear groove. The Counter display must face directly away from the tree. Zero the Counter by pressing the button and holding it down until the display shows ‘00’. The Counter goes to sleep a few seconds after the button is released. To test fire your trap, reach a pen (or twig) down through the LURE BOTTLE CRADLE and push the LEAF TRIGGER (i.e. the steel wand) sideways. The STRIKER will discharge with a bang and then slowly retract. Warning: Always keep your hands clear of the SHROUD ENTRANCE and treat the trap as live. With the bottle cap still on, take the LURE BOTTLE and tap it against your palm to bring the LONG LIFE LURE to the bottle’s mouth. For the trap to be effective it must have lure at the mouth of the LURE BOTTLE. Squeeze out a small amount of LONG LIFE LURE and wipe it beneath the trap as pre-feed. This greatly enhances trapping success through attraction. After you have pre-fed the tree ensure that lure is at the bottle mouth. Invert the LURE BOTTLE and screw it into the LURE BOTTLE CRADLE. Screw the SHROUD CAP back on to protect the LURE BOTTLE. To check the tally on the Counter, quickly press and release the button. The display will show the number killed. NOTE: Pressing and holding the button down zeroes the Counter. When it comes to domestic situations, some trapping sites are more complex than others and require you to do some further analysis to ensure you get success with your traps. This section covers off understanding rats, how to analyze your site and steps toward success. Rats have an excellent sense of smell. They can analyze the nutritional content of food determining fat, protein and carbohydrate composition. Rats can take time to “cotton-on” to a new food source. When they encounter a new food source they taste a small amount and then go away to see if it makes them feel sick. They repeat this process until they’ve decided the new food source can be trusted. It follows that once rats have a trusted food source, it takes some effort to get them to try something new. It’s a bit like when you want fish ‘n’ chips on a Friday night… you’re going to go past the burger bar and the pizza restaurant. Another thing about rats is that they’re social. When they meet, they touch noses and in doing so they use that excellent smell sense to see what their companion has been eating lately. All of these traits make rats very successful at establishing themselves. We humans create great habitat for rats – in fact, wherever there are humans, there are rats. Having taken in the behavioral information above, you need to think about the habitat you have created for rats. Food competition is the biggest barrier to success. Things like compost bins, dog biscuit bags, food stores and poultry feeders all provide excellent food sources for rats. When you have these situations, you have to disrupt their routine in order to raise your prospect of success. Do I have a constantly available food source? Can I better secure or eliminate the food source? Can I shift that food source to another location? Can I temporarily stop the food source? 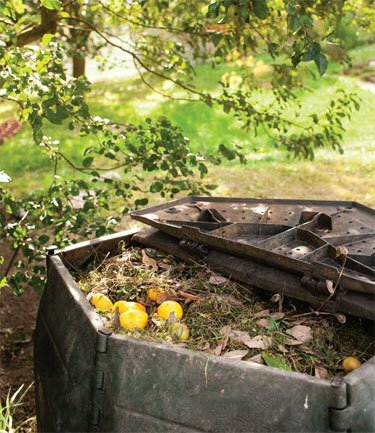 In the case of compost bins, get a large bucket and store your new compost in it elsewhere for 3 weeks. They then search for new foods. Is the food source seasonal? In this case then it’s just a matter of time before the food source ceases and the rats begin to look for something else. Because, you have Goodnature™ A24s in place they’re constantly available to act. Remember, a rat lives in a dangerous world and will only investigate a new food source when they feel safe to do so. 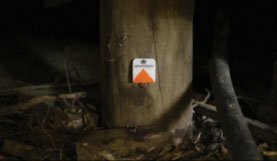 It’s an absolute must to use your Goodnature™ Rodent Detector Cards to detect the best place to put your trap — not (as some people think) to detect whether or not you have rats! 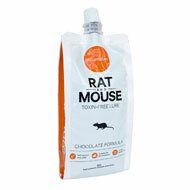 Use Goodnature™ 250g Chocolate Formula for rats to pre-feed the site. Put up to a dozen pea-sized dabs of lure at ground level within a 20m radius of your trapping site. This helps to sign post the new food source. The knowledge of the new food source causes the rats to search for it…and that’s when they’ll find it in your Goodnature™ A24s. While our lures are long life, they will eventually crust over or diminish in their scent when exposed to air. To refresh the lure on your traps see step 12 in the ‘SETTING YOUR TRAPS’ section and it will then smell fresh and tasty again. REMEMBER: LURE IS THE KEY! Any quality, humane pest control device is only as effective as the quality of the lure used to attract the pest. It is the lure that motivates the target pest to enter and activate the trap. You must change the gas canister every 6 months regardless of how many kills you’ve sighted or if your counter displays 24 strikes within 6 months. To do this properly, follow steps 1–3 on ‘SHIFTING YOUR TRAP’ followed by steps 4–10 in ‘SETTING YOUR TRAPS’. Use this table, put a note in your calender, set an alarm on your phone…just don’t forget! 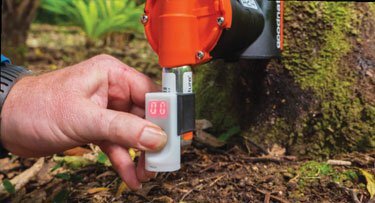 Rather than shift your traps, it is better to add to the trapping network and increase your pest free area — a Goodnature™ constant control network. If however, you need to move your trap or have found a better location for it, then it is very important that you follow the instructions below. To shift the trap, first DE-COUPLE the Counter and then unscrew the current CO2 CANISTER from the trap (i.e. DE-GAS). You may experience the noise of any remaining gas in the canister escaping, which may cause the canister to chill. Although the CO2 CANISTER has been removed the trap may still be live (pressurized) with one charge remaining in its chamber. 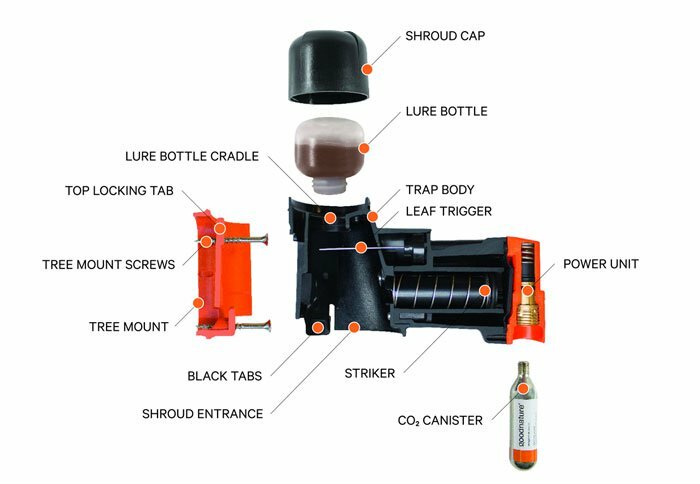 To DE-PRESSURIZE the trap, firstly remove the SHROUD CAP, unscrew the LURE BOTTLE, and fire the remaining charge in the trap by reaching a stick down through the LURE BOTTLE CRADLE and pushing the LEAF TRIGGER (i.e. the steel wand) sideways. The striker will discharge with a bang. Always treat the trap as live until you have de-gassed and de-pressurized it. Always keep fingers clear of the SHROUD ENTRANCE. If the trap doesn’t fire then it has run out of gas at some earlier point. With the trap de-pressurized place your palm beneath the trap’s entrance. 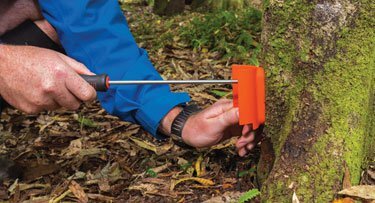 Using your thumb and forefinger, squeeze the BLACK TABS of the TRAP BODY inward beneath the orange TREE MOUNT. With upward pressure ease the TRAP BODY up and off the orange TREE MOUNT. Please be responsible with your automatic traps and use only as recommended in this success guide. Always treat your traps as LIVE and only install the CO2 CANISTER when the trap is set correctly and ready to activate. Never assume the trap is empty or not live. Once the CO2 CANISTER is removed, the trap may still contain enough pressurized gas to fire if triggered. Release this remaining shot by test firing the trap once before removing it from the TRAP MOUNT. Only test fire the trap while the trap is set correctly. To test fire the trap see the section named ‘TEST-FIRE YOUR TRAP’. Always wear appropriate safety gear when setting and test firing a trap. Set traps at the height recommended in this success guide and be considerate of others when choosing the traps’ location. Never put hands or objects in the entrance of the trap (SHROUD ENTRANCE). This can fire the trap and can damage the working components or cause injury. Never deliberately fire and re-fire the trap in quick succession as this can damage the internal seals. 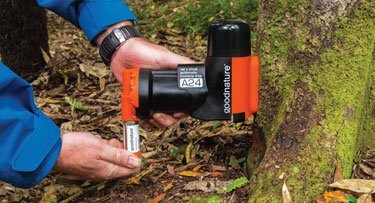 Use only Goodnature™ CO2 CANISTERS in Goodnature™ traps. 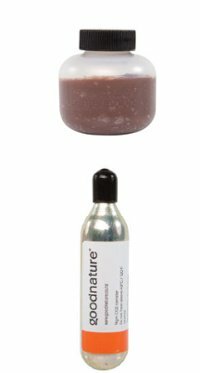 Goodnature™ 16 gram CO2 CANISTERS are manufactured to the highest standard and have silicone added to lubricate the regulator and seals to increase the life of the trap. Using non-Goodnature™ CO2 CANISTERS voids the product warranty. NEVER use a petroleum-based lubricant in your trap. Never engage in “horseplay” with the trap. Never shift the trap when it is live. We are dedicated to delivering a quality product to all our customers. All of our products are warranted for two years from date of purchase against defects in material and workmanship. 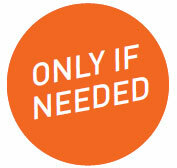 If we determine that the product has a manufacturing fault, we will repair or replace it free of charge to you. The decision to repair or replace is solely at the discretion of Automatic Trap Company Inc.
Only the original owner is covered by the manufacturer’s warranty and must have purchased the product from Automatic Trap Company Inc. If your product is outside the two year warranty period or if the fault is not covered by the manufacturer’s warranty, we will happily repair your product where possible for a reasonable charge. Our manufacturing warranty does not cover claims resulting from misuse, abnormal use, or installation contrary to instructions, transportation damages (including airline or freight damage), dropped goods, negligence, second hand product, modified product (including use of CO2canisters not supplied by Automatic Trap Company). Our warranty also does not cover corrosion to fasteners as a result of atmospheric or environmental conditions. Set traps at the height recommended in this handbook and be considerate of others when choosing the trap’s location. 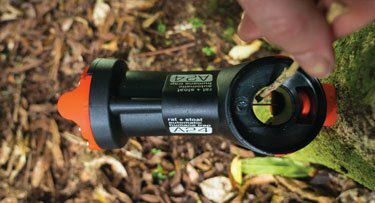 The ALP (Automatic Lure Pump) truly is the cutting edge of trapping technology reducing trap checking from 12 to just 2 times a year! ALP technology is a set-and-forget system. 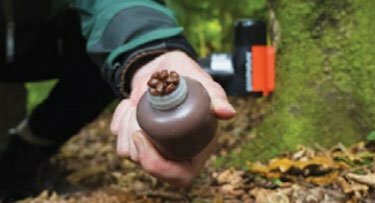 Once installed and activated in your A24 traps, it steadily delivers our Chocolate Formula Lure for 6 months. This means that your traps will ALWAYS have fresh lure and that gives maximum attraction for your trapping network. Constant control just got that much easier. The Goodnature™ ALP is the even more low maintenance version of our standard lure bottles. 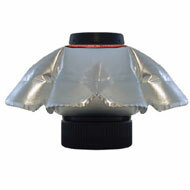 This latest technology can be retro fitted into all your Goodnature™ A24 traps. Our chocolate formula lure has been scientifically developed to maintain excellent rat attraction across a month, and remains stable in all weather conditions. Goodnature™ lures contain no toxins meaning there is no risk of secondary poisoning to native species or your pets. 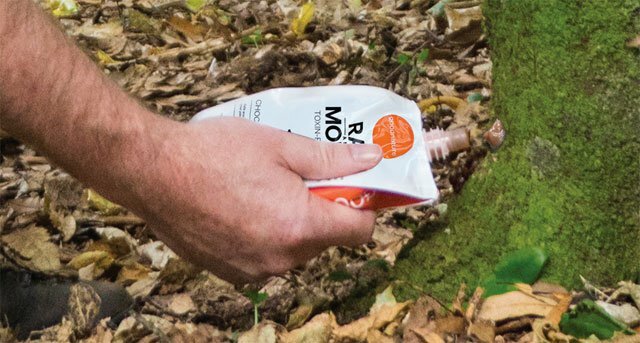 Replace the Rat Lure Bottle in your Goodnature™ A24 self-resetting rat/stoat trap every 6 months. They’re made of easy-squeeze plastic so you can quickly refresh the lure. Our lures should be refreshed at least monthly and your trap’s lure bottle should be replaced every 6 months for optimal performance. 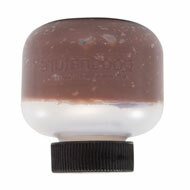 Chocolate Formula Lure is also available in 250 gram pouch packs for pre-feeding sites. Containing 16-grams of compressed CO2, the Goodnature™ canister provides the power for your traps. 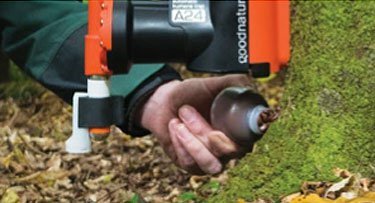 Goodnature™ traps must use CO2 canisters by Goodnature™ because they are guaranteed to be the highest quality and not damage your traps. Our chocolate formula lure been scientifically developed to maintain excellent rat attraction across a month and remains stable in conditions from the tropics of Hawaii and the alpine regions of Vermont. 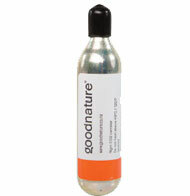 Goodnature™ lures contain no toxins meaning there is no risk of secondary poisoning to native species or your pets. Goodnature™ lure pouches have been developed so trappers can pre-feed sites and keep their control projects primed for top performance. They are clean to use and ergonomically great so you can quickly move along a line and they’re excellent for use in old school single action trap technology. An extra trap mount for your A24 trap in case you want to shift it. While it’s your prerogative to shift your trap, we believe that best practice is to extend your network by deploying more traps than shifting one around. Create a constant control network in order to get the best results. After all, do you know when or from where the next re-invaders will come? Always de-gas and de-pressurize your traps before you shift them. 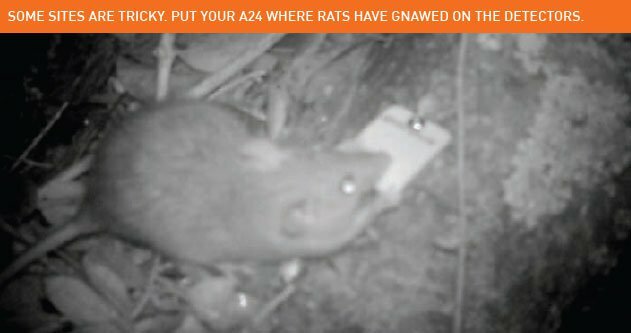 Set your A24 traps in places where you don’t have a tree or wall handy to attach to such as wetlands, grasslands, gardens, under the sink, ceiling voids and industrial sheds. Our new A24 Trap Stand gives you flexibility to target a greater range of areas and the ability to fine tune your network by being able to shift your trap easily. Another benefit when using the Trap Stand is that you don’t need to de-gas and de-pressurize your A24s when shifting them. It has two peg holes to keep it stable when set on sloping ground, and view holes to help see carcasses of humanely killed animals. 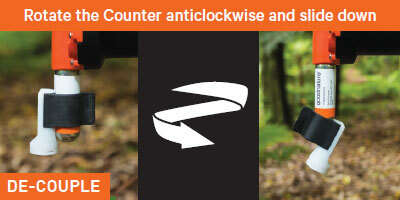 The A24 Automatic traps and accessories can be purchased directly from www.AutomaticTrap.com.